There are many talented players available for selection in this year’s NHL Entry Draft, which is being held June 22-23 in Pittsburgh, Pennsylvania. The Western Hockey League is filled with defensemen eligible for the draft this year, and many of them will be selected in the first round. One of them has already played for Canada at the World Championships, and there’s a good chance at least one of the other defensive prospects will do that as well someday. Below you will find a group of the top defense prospects available, as well as a group of sleeper picks. The top prospects are self-explanatory, and the sleepers are players who have some question marks surrounding them, but could ultimately end up being real steals at the draft. Not all top prospects are listed, but many of the more interesting ones can be found on this list. Ryan Murray is the best defenseman available in the draft. He is the youngest captain in Silvertips’ franchise history, and has already represented Canada at the senior level by playing at the World Championships in May. Murray is a very consistent blueliner and could very well end up going in the top three selections. The most common NHL player comparison with Murray is Scott Niedermayer. Rielly is a bit of a question mark for the upcoming draft. He has top-five potential, but injuries hampered his 2011-2012 season, so scouts may not have seen as much from him as they would have liked. Regardless, in the games he did play, Rielly was clearly one of the top players on the ice. The team that selects him could end up with a steal in their hands if he falls outside the top six or seven spots. Cody Ceci has been one of the best surprises of the season. He wasn’t considered to be first round material in September of 2011, but now he’s making a serious push for the top ten. At 6’2″, 207 pounds, Ceci is physically ready for the pro game, and will still likely get even bigger by the time he establishes himself in the professional ranks. The Orleans, Ontario native finished the year at number six on NHL Central Scouting’s final rankings. Just recently, Trouba has fallen down a spot or two on draft lists, but he’s still a good candidate to be one of the top three defensemen chosen. A native of Rochester, Minnesota, Trouba has size in his blood, as many of his family members are well over 6’6″. That’s a telling sign the 6’2″, 196 pounder may still have a few inches to grow. The potential with Trouba is very high, meaning he will hear his name called very early in June. Griffin is the latest Reinhart to enter the world of the National Hockey League, and there’s a good chance he could be the best of all of them. He led the Oil Kings in regular season goals with 12 of them, and at 6’4″, 207 pounds, he’s a very intimidating force on the blueline. His game is still pretty raw, however, in a few years he could be a consistent regular in the NHL. To get it out of the way early, Dumba has repeatedly been called the next Dion Phaneuf. Around mid-season, he was actually atop a few rankings. Dumba has been regularly recognized for his leadership capabilities, as he has been named captain of Canadian teams in international tournaments. He’ll likely need at least one more season of major-junior hockey, but will probably still be taken in the top ten spots. Maatta was the first overall selection in the 2011 CHL Import Draft, and was chosen one spot ahead of fellow top prospect, Mikhail Grigorenko. The Knights didn’t necessarily take Maatta because he was the best player available, but more because he was the perfect fit to their needs. He’s been compared to Ryan Suter of the Nashville Predators and former Finnish NHLer Teppo Numminen. Maatta’s a great skater with good hockey sense, and has risen up draft boards all season long. He could turn out to be a steal. 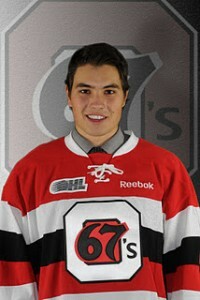 Pouliot is viewed as a slight question mark in the draft, but still qualifies as one of the top defensive prospects. He’s been compared to Tomas Kaberle, now of the Montreal Canadiens, and was a great point-producer for Portland this season. 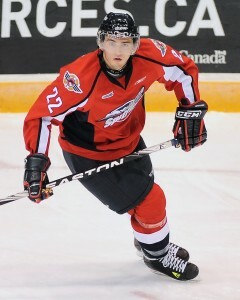 Pouliot’s final NHL Central Scouting ranking was number twelve, and his May 2012 ISS ranking was 22. He has the potential to fall come June 22. Coming into the season, Finn wasn’t viewed as first round potential. Since then, however, he’s proved the doubters wrong. Finn had a terrific season on one of the poorer teams in the league, and really put his name on the radar. The Toronto, Ontario native has been called a top prospect, but he’s also been called a sleeper. For this list, he qualifies as the latter. Keep an eye on him, as much like Pouliot, he could turn out to be a steal if he maintains this development pace. Koekkoek’s draft year was flat out destroyed by injury problems. He said all 26 teams that interviewed him at the NHL Scouting Combine asked about his surgically repaired shoulder. Koekkoek was considered as a potential top ten pick in September, but that’s no longer the case. An article from the Ottawa Citizen suggests that teams may trade up to take him before someone else gets him. The potential is clearly there; it’s the risk that’s the major concern. Simply put, it was a bad season for Nick Ebert. With the benefit of hindsight, many scouts now say Ebert was over-hyped. In September, he was seen as America’s top draft prospect. That’s not the case anymore. The expectations were so high for Ebert coming into the 2011-2012 season, and he just wasn’t able to deliver. Now, he might not even be selected in the first three rounds. He was able to put himself on the radar of more people at the Under-18 tournament this spring, and now Carrick is looking to be selected in the top four rounds of the NHL Draft. At 5’11”, 180 pounds, Carrick isn’t a very big blueliner, but he still has potential to be a top-six defenseman in the pros someday. 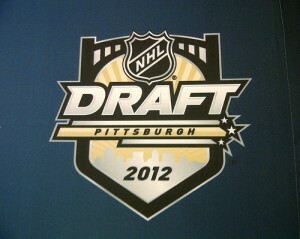 That wraps up my Defensemen Preview for the upcoming 2012 NHL Entry Draft. If you missed the first part of the series, which focused on the forwards, you can view it by clicking here.